Plus, more than 35 posters will be presented… Registration and participation is FREE. Visit http://isbcs2016.yeditepe.edu.tr/registration.html to get a name tag ready. Gary Cottrell (UCSD), Solving the visual expertise mystery: Why is the fusiform face area recruited for other domains of expertise? 18.00 Panel session: Cognitive Science or Cognitive Sciences: Is our field unified? How Does Facial Stimuli Exposure Time Affect the Assessment of Attractiveness? Is child parsing incremental and predictive? The Cognitive Science program of Bogazici University cordially invites all interested parties to the following events. Abstracts and bios are below. Rationality is an overloaded term viewed differently from different perspectives. In this talk I will contrast two perspectives: The one derived from “Homo Economicus” underlying standard economic theory, and the psychological one based on psychological theory and related experiments. While Standard economic theory is founded on formal requirements of rationality (derived from a logico- mathematical perspective), human behavior is often based on more loose criteria of intuitions and commonsense. Experimental demonstrations will be presented exhibiting some incongruence between the economic view and actual human behavior. In an attempt to reconcile between the two perspectives, I propose that rationality is not about objective states of the world but about mental representations of these states which have to be taken into account on any discussion pertaining to rationality. 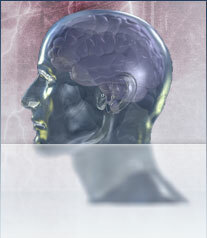 Decision making process has been one of the recent research areas in neuroscience. Despite the fact that its monumental case, Phineas Gage, appeared in the literature in mid-19 th century, brain mechanisms underlying decision making have not come to the attention of neuroscientists until mid- 20 th century when behavioral neurology was re-established. There are five functional networks in the human brain; executive, language, limbic, what and where networks. Decision making in the brain takes place in one of them: executive network. There are mainly three functional sub-units of the executive network which lie into the prefrontal cortex; Dorsolateral prefrontal cortex (DLPFC), Ventromedian Prefrontal Cortex (vmPFC) and Orbitofrontal Cortex (OFC). DLPFC is the area of cognitive control, vmPFC is the area of brain’s attention and reward mechanisms and OFC is the area of emotional control. It has been suggested that vmPFC play crucial role in decision making. The hypothesis of this action is Somatic Marker Hypothesis in which bodily receptors called somatic markers urge brain whenever a new event happens which requires decision making. The brain center of the somatic markers has been located in vmPFC by functional imaging studies. However,more recent studies suggested that this area would not be a single area for decision making and additional mechanisms are warranted such as cultural factors, age and two other areas of the prefrontal cortex; dorsolateral and orbital prefrontal cortices, because decison making also requires cognitive and emotional controls. The ubiquity and robustness of framing effects [i.e., interpreting the same message in different ways depending on how it is formulated] in different domains of psychology and beyond it can hardly be denied. Framing, in its most abstract interpretation, implies the composition of different parts of a message according to a particular design. It can refer to a construction (e.g., frame of a building), to a surrounding or a border (e.g., frame of a picture), to a state of mind (e.g., she is in a happy frame of mind), or to the linguistic composition of a sentence or an utterance. What all these usages have in common is that they afford a certain structural basis or, in perceptual terminology, determine the Gestalt of the message. My presentation will center on linguistic and psychological aspects of framing, examining the consequences of employing different message frames. I will review different types of framing effects, linguistic and non-linguistic ones, underlining both their theoretical and applied facets. Framing can be analyzed within different theoretical frameworks which will be briefly described. While no unifying theory of framing exists, the analogy with basic perceptual processes will be accentuated. Applications of framing effects in different domains such as health care, the court, marketing and Experimenter-subject interaction in an experiment, will be discussed. Implications of framing for rational choice theory will be examined. Prof. Gideon Keren studied Economics and Business Administration at the Hebrew University of Jerusalem and received his PhD in Psychology from the University of Illinois Urbana-Champaign. He is presently at TIBER (Tilburg Institute for Behavioral Economics Research), Dept. of Social Psychology, Tilburg University, the Netherlands. Prof Keren’s research is in decision making and behavioral economics. His research areas include coping with uncertainty and calibration of probabilities, interpretations of probability, gambling behavior, unique vs. repeated gambles, framing, and trust. His books include “Statistical and methodological issues in psychology and social sciences research” (1982), “A Handbook for Data Analysis in the Behavioral Sciences:Methodological Issues” (1993), “Perspectives on Framing” (2010). Prof. Oğuz Tanrıdağ, MD, is a professor at Uskudar University, Faculty of Human and Social Sciences, and the head of the Neurology unit of NPI, the Neuropsychiatry Hospital Istanbul. Dr. Tanrıdağ studied medicine at the Istanbul University (1975), and was a researcher at Vanderbilt University Neurology Department, and GATA Neurology. He became a full professor in 1993. He served as the editor-in-chief of the Turkish Journal of Neurology. He initiated the International Cognitive Neuroscience Meetings, which celebrated its tenth anniversary this year, and is one of the most important gatherings of the Turkish cognitive science community. Participation is free. If you have any questions, you can contact Albert Ali Salah at salah@boun.edu.tr or at 0212 359 7774. While doing philosophy absolu tely requires a certain flexibility of mind and a great deal of inquisitiveness, interdisciplinary science that involves philosophy surely introduces many additional challenges, and promises broader perspectives to the unrelenting scholar. One such area involves the greatest puzzle of our time: the brain! Cognitive sciences look at this magnificently complex organ at different resolutions, attack it with different techniques, scrutinize how it performs its myriads of functions, slice it, dice it, model it, and then try to integrate everything that can be said about it into something the poor scholar can deal with… An arduous task! One of the two established Cognitive Science programs in Turkey is the Cognitive Science MA program of Boğaziçi University, to which the Philosophy Department naturally contributes, in addition to Computer Engineering, Linguistics, and Psychology disciplines. Its aim is to introduce the students to the investigation of cognitive processes at various dimensions.